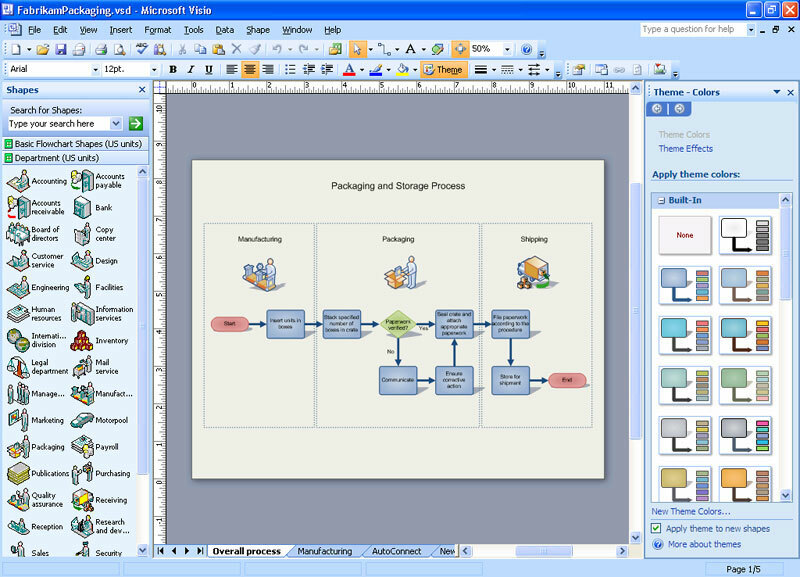 Microsoft Office Visio 2007 makes it easy for IT and business professionals to visualize, analyze, and communicate complex information, systems, and processes. Extend Office Visio 2007 programmatically or integrate it with other applications to fit your industry-specific scenarios.Office Visio Professional 2007 offers advanced functionality, such as data connectivity and visualization features, that Office Visio Standard 2007 does not. Develop your own custom solutions and shapes, or use those from Visio Solution Providers.Office Visio Professional 2007 offers advanced functionality, such as data connectivity and visualization features, that Office Visio Standard 2007 does not. Make diagrams more useful by linking them with underlying data to provide a more complete picture. Easily identify key issues, track trends, and flag exceptions using a library of icons and flags that make it easy to highlight key issues for effective action. Share professional-looking Office Visio 2007 diagrams with anyone, even those who do not have Visio. Qweas is providing links to Microsoft Office Visio Professional 2007 2007 as a courtesy, and makes no representations regarding Microsoft Office Visio Professional 2007 or any other applications or any information related thereto. Any questions, complaints or claims regarding this application Microsoft Office Visio Professional 2007 2007 must be directed to the appropriate software vendor. You may click the publisher link of Microsoft Office Visio Professional 2007 on the top of this page to get more details about the vendor.